Google has finally settled on a name for its long-rumoured budget version of the Pixel 3 range, according to a new report. The Pixel 3a and Pixel 3a XL will be more affordable variants of their pricier namesakes, which launched last October. Google is far from the only smartphone manufacturer to simply slap an extra letter onto an existing brand to designate the budget model: Apple has the iPhone Xr and Samsung has the Galaxy S10e, to name but two. 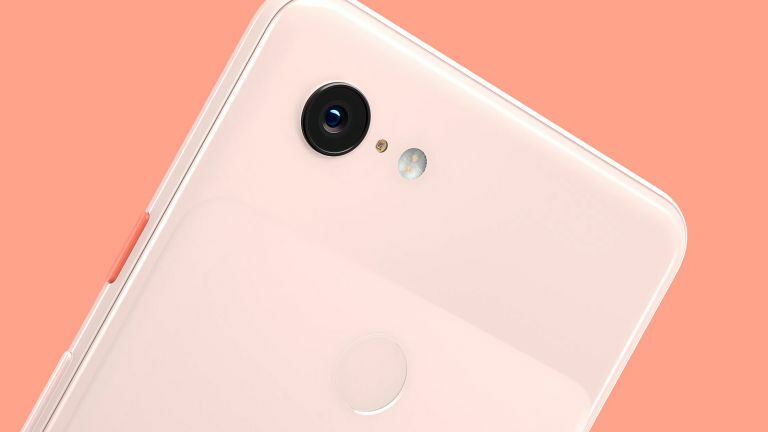 Previous whispers suggested Google would plump for the name Pixel 3 Lite to designate its watered-down smartphones but it clearly concluded that was too unsubtle. From the outside, we expect the Pixel 3a and Pixel 3a XL to look very similar to the Pixel 3 smartphone range. More specifically, the Pixel 3 – since neither 3a nor 3a XL look set to sport the massive notch seen on the Google Pixel 3 XL. However, there will of course be some differences between the two variations of the Pixel 3. First off, the Pixel 3a and Pixel 3a XL will have completely different screen sizes. According to the latest report from GSMArena, the new devices will have 5.6-inch and 6-inch displays, respectively. That means the Pixel 3a will be slightly bigger than the 5.5-inch Pixel 3, while the Pixel 3a XL will be smaller than the 6.3-inch Pixel 3 XL. These new sizes are a little baffling. They could suggest that Google might not be entirely happy with the screen size choices it made with the original Pixel 3 range last year, or perhaps they are in some way more economical to produce. Camera-wise, we expect the Pixel 3a to have a single 12MP camera on the back. The good news is that, at least according to the leaker of this report, this produces images of the same high quality as the Pixel 3. On the front, Google is tipped to fit an 8MP wide-angle selfie camera, with no second ultra-wide lens. It's unclear whether these camera specs will hold true for the Pixel 3a XL, too. The squeezable "Active Edge" technology, which lets users summon Google Assistant by firmly gripping the side of their smartphone will seemingly be returning on the more affordable variant too. Both Pixel 3a and Pixel 3a XL look set to be powered by a Qualcomm Snapdragon 670 system-on-a-chip coupled with 4GB of RAM and 64GB of storage. There will be an eSIM fitted into both handsets too. Expect the Pixel 3a series to support fast-charging via USB-C – just like their pricier siblings. Unfortunately, there's no word on exactly how much cheaper the Pixel 3a range will be compared to the existing Pixel 3 (£739) and Pixel 3 XL (£869). However, we wouldn't be surprised to see a similar price differential, percentage-wise, to the one between the iPhone XS (£999) and iPhone XR (£749). We're also unsure exactly when the new devices will launch. However, Google has confirmed plans to hold its annual developer conference – Google I/O – between May 7-9 2019. Google has previously used the opening keynote presentation to launch new hardware, including the Google Home back at Google I/O 2016. Samsung Galaxy S10 vs Google Pixel 3: Samsung or Google for your next phone? How does the new Samsung contender match up against the current Google champ?